When an actor or an actress signs on for a comic book movie, most contracts are written to include options for two further movies (seven or eight when it comes to a Marvel Studios film). That's exactly what happened with Jennifer Lawrence and X-Men: First Class which came out just as the actress started her journey to become one of the most successful actresses working in the industry right now. Next year's X-Men: Apocalypse will mark her third, and final, appearance as shape shifting mutant Mystique, telling MTV News in no uncertain terms "It is my last one, actually". This doesn't come as much of a surprise actually. 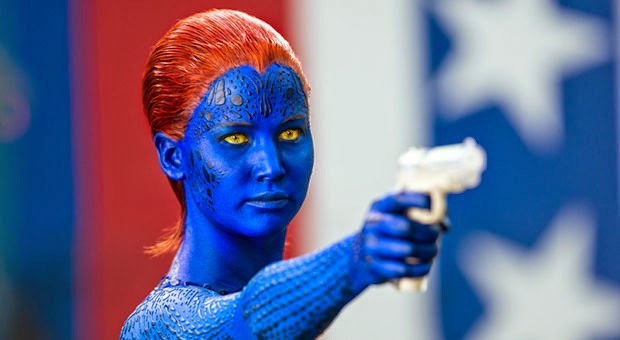 The Hunger Games comes to an end later this year, and that coupled with her X-Men contract running out would free her up when it comes to choosing projects, and no doubt, the idea of not being tied to a franchise is an appealing one. This puts paid to the rumours of Lawrence headlining a Mystique spin-off, but with X-Men: Apocalypse bringing in younger versions of Cyclops, Storm, and Jean Grey, there is no reason the same can't be done with Mystique. Hell, her power set has a built in out for this exact scenario. 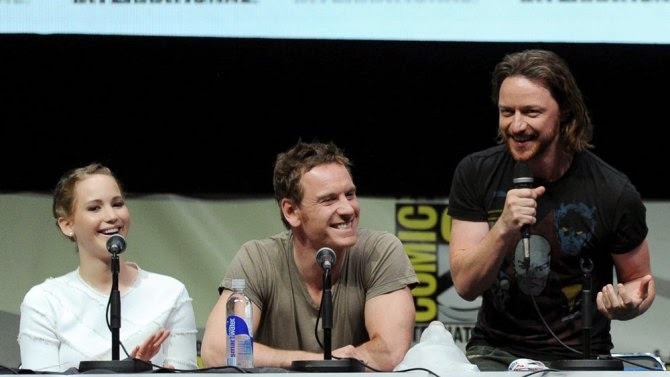 The most interesting thing to come out of this turn of events is whether Michael Fassbender and James McAvoy will follow suit. Their contracts are probably up at the same time, and it's hard to judge if they will opt to renew. X-Men: Apocalypse is said to be an end to the trilogy began in X-Men: First Class, meaning it could serve as a farewell to the older cast members, and I always got the feeling that the ending of Days of Future Past, with it's alternate timeline, was a way of setting up any future installments with a new cast portraying familiar characters. No matter what happens, we'll find out when X-Men: Apocalypse hits our screens May 27th 2016.